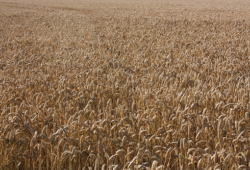 Home » Posts tagged "Wheat"
Today’s Telegraph reports: The largest wheat harvest in 15 years is expected to yield 51 million tons, of which a record-breaking 15 million are earmarked for export. Only the US and Canada are expected to export more. Growing influence in the Middle East and more collaboration in the energy sector, plus increasing Kremlin control: a story to watch?